This is the first heavy rain we’ve had since we got our new dog, and, amazingly, she is not currently hiding under the bed like she did when I accidentally set off the smoke detector or cowering in the corner near the front door like she did when Dan restarted the computer in the office. Or like she does every time someone shakes a cocktail. Funny in a the-dog-ate-our-dog-obedience-training-homework kind of way. Funny in a chewed-up-the-caning-in-the-chair-she-always-sits-in kind of way. Funny in a busted-the-screen-on-my-phone kind of way. Funny in a needed-five-trips-to-the-vet-in-the-first-two-months-we’ve-had-her kind of way. Funny in a laugh-or-else-I’ll-cry kind of way. She’s been, ahem, a challenge. But we love her anyway. Which brings me to this cake. Which feels like a much needed tropical escape. It comes, mostly, from one of my favorite baking books of all time, Tartine. Their version gets covered in shaved coconut, which I skipped, and I swapped in olive oil for the vegetable oil in the chiffon cake, because I thought the flavors would play well together. I made it for a dinner party hosted by our friends Traci and Dan. I was looking for something to cap off a rich meal that wouldn’t leave us all feeling overstuffed. This passion fruit lime Bavarian seemed like just the thing. Three layers of olive oil chiffon cake get soaked with a lime syrup and filled with a bright passion fruit Bavarian cream. Then the whole thing gets swathed in whipped cream and dotted with a few raspberries to top it off. It sounds complicated, but I did most of it in the space of an afternoon, waiting only to cover it with whipped cream the following day shortly before we headed to the party. 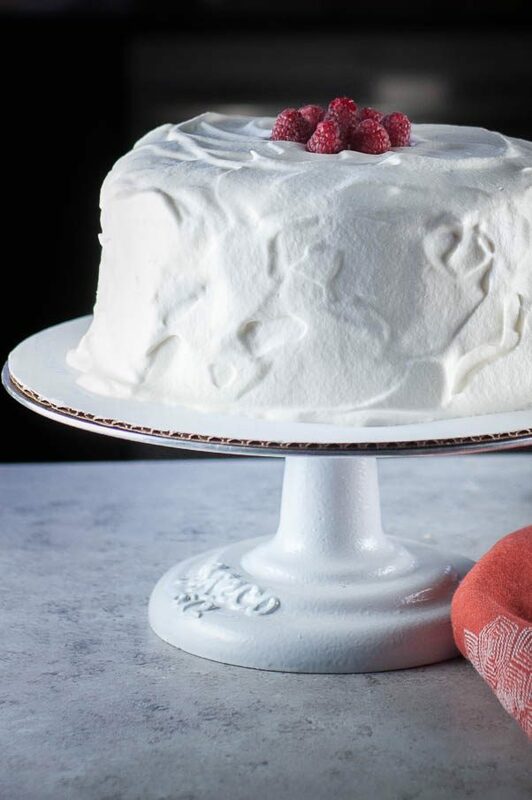 It’s a gorgeous layer cake that’s perfect for fans of bright citrusy flavors. Or anyone looking for a tropical escape. This layer cake is a wonderful blend of bright, citrusy, tropical flavors. 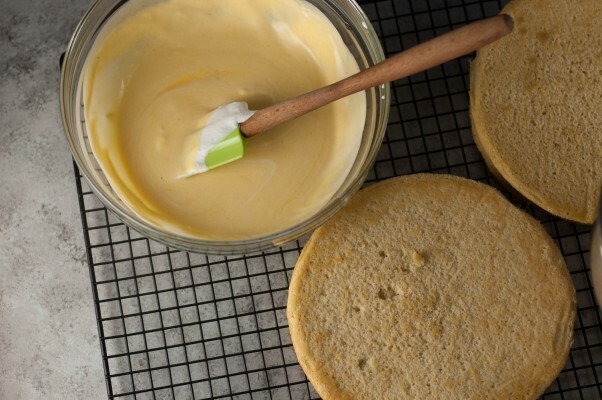 The light chiffon cake makes a lovely base for the rich passion fruit Bavarian cream. The cake should be assembled the day before you plan to serve it to give it time to set in the refrigerator. 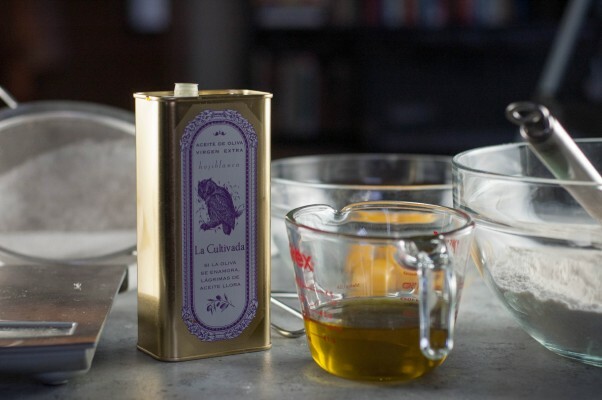 Look for a fruity olive oil for the chiffon cake rather than an assertive peppery one. You can find frozen passion fruit puree at Latin grocery stores (I usually use Goya brand). 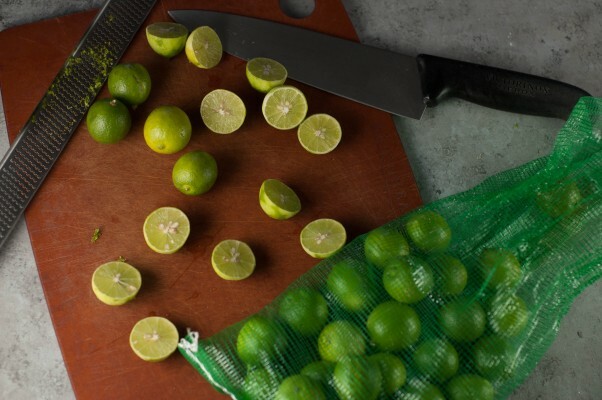 You can use regular limes or key limes (like I did). 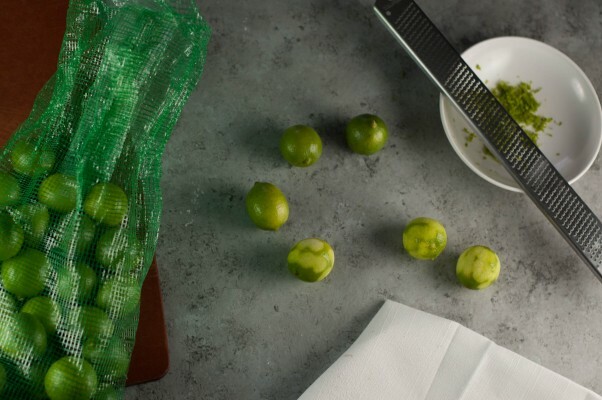 Use 3-4 key limes for every regular lime. A day before you want to serve the cake, make the chiffon cake. Preheat oven to 325°F. 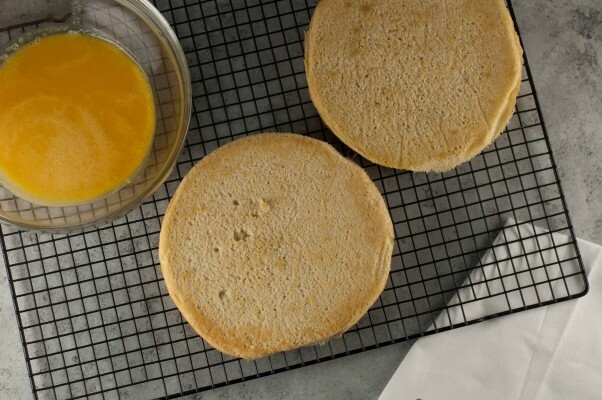 Line the bottom of a 10-inch springform pan with parchment paper. Don’t grease the sides of the pan. Sift the flour and baking powder together in a large mixing bowl. Whisk in 1 1/4 cups (250 g) of the sugar and all of the salt. 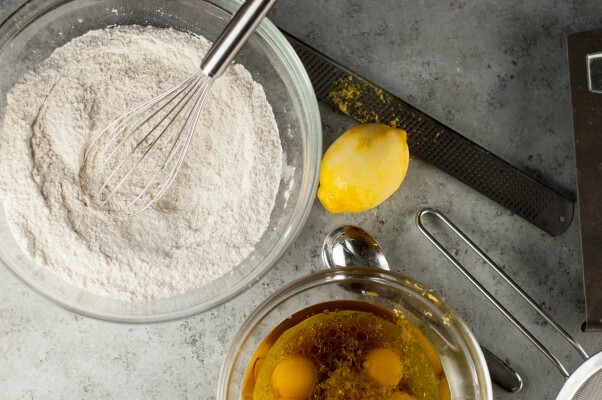 In a separate bowl, whisk together the olive oil, egg yolks, water, vanilla extract, and lemon zest. Add the wet ingredients to the dry ingredients and whisk until smooth, about one minute. 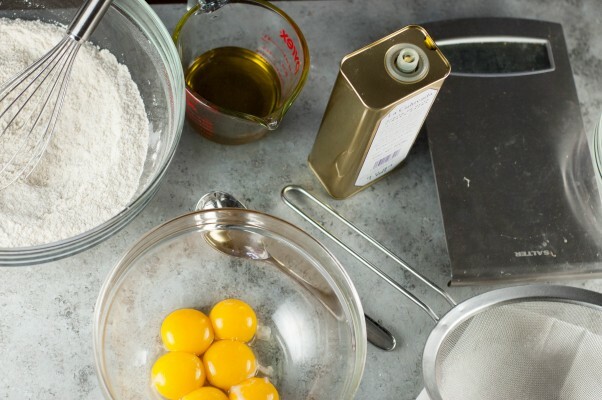 In the bowl of a stand mixer fitted with the whisk attachment add the egg whites and beat on medium speed until frothy. Add the cream of tartar or lemon juice and beat on medium-high speed until the whites hold soft peaks. Add the remaining 1/4 cup (50 g) sugar, a tablespoon at a time, and continue beating until the whites are shiny and hold firm peaks when the beater is lifted. Scoop about a third of the beaten whites onto the yolk mixture with a rubber spatula and fold gently to lighten. Add the rest of the egg whites and fold in carefully just until the mixture is a uniform color with no white streaks remaining. Pour the batter into the prepared pan and smooth with a spatula to even. Bake for 45-55 minutes or until a toothpick inserted into the center comes out clean. Place the pan on a wire rack and let the cake cool in the pan (the sides of the pan will help support the structure of the cake). When cooled to room temperature, carefully run a thin knife around the sides of the pan, release the sides of the pan and lift off. Invert the cake onto the rack and remove the parchment paper. With a long serrated knife, carefully slice the cake into 4 layers. Wrap one layer in plastic wrap and reserve for another use (it will keep at room temperature for 4 days or in the freezer for up to a month). You’ll only use 3 layers for this cake. Keep the springform pan handy. You’ll use it for assembling the cake. Combine the sugar and water in a heavy bottomed saucepan over medium heat and stir until the sugar is dissolved. Remove from the heat and let cool for about a half hour. Whisk the lime zest and juice into the syrup. 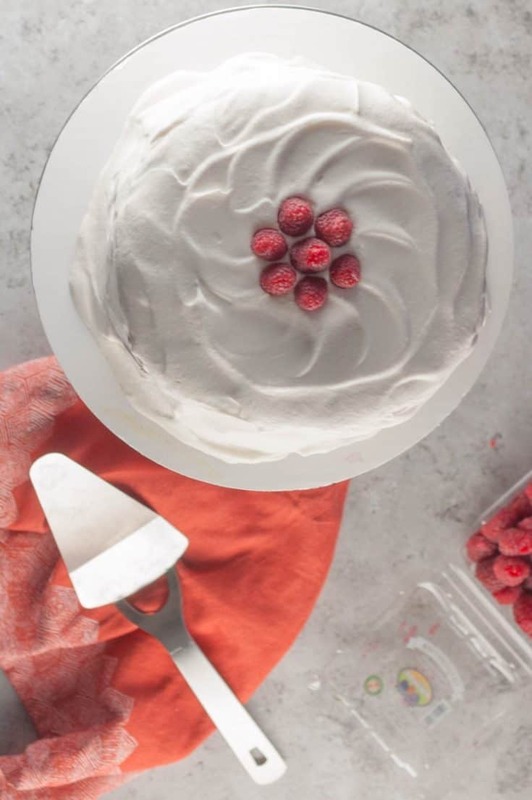 Line the sides of your springform pan with plastic wrap with plenty of overhang (enough to cover the top of the cake completely when it’s fully assembled). Carefully place one cake layer onto the bottom of the pan. With a pastry brush, spread about 1/3 of the lime syrup over the cake layer. It will be very moist. Prepare an ice bath in a large bowl. Add about 2 inches of water to a medium saucepan and find a stainless steel mixing bowl that will rest in the top of the pan without touching the water. Bring the water to a simmer. 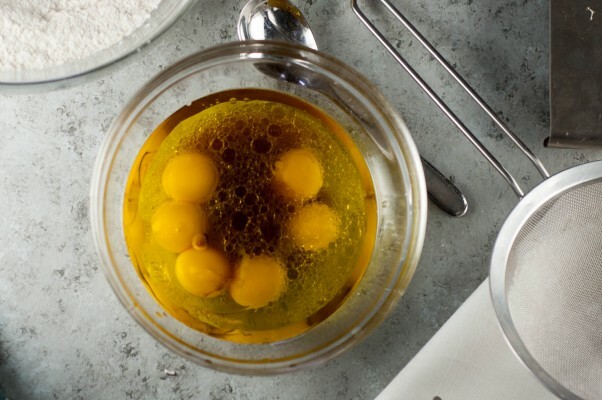 Whisk together the egg yolks, passion fruit puree, sugar, and salt in the mixing bowl and place over the saucepan. Continue to whisk until the yolks are hot to the touch, about 7 minutes. Remove the pan from the heat. 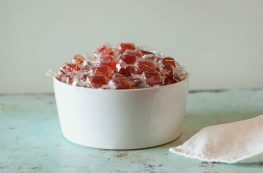 Sprinkle the gelatin over the water in a small bowl and let stand for a few minutes. 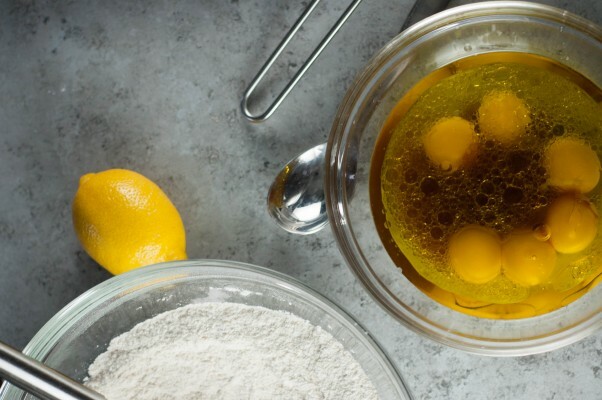 Add the gelatin to the passion fruit egg yolk mixture and whisk to dissolve the gelatin. Remove the bowl from the saucepan and carefully place in the ice bath. Whisk the mixture until it is slightly cool to the touch. In the bowl of a stand mixer fitted with a whisk attachment, add the whipped cream and whisk until it holds medium-stiff peaks. With a rubber spatula, scoop about a third of the whipped cream onto the passion fruit egg yolk mixture and whisk together to lighten. Gently fold in the rest of the whipped cream. Pour half of the mixture onto the first layer of cake (the mixture will be very liquid). Carefully place the second cake layer over it and brush with half of the remaining lime syrup. Then immediately pour the remaining Bavarian cream over it. Carefully place the final layer of the cake over the top and brush with the rest of the lime syrup. Fold the plastic wrap over the cake to cover it, and refrigerate overnight. 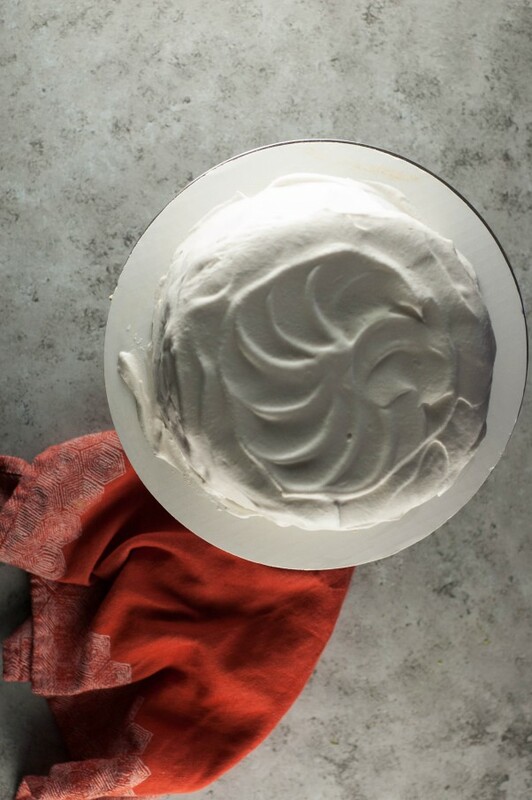 The day you plan to serve the cake, make the whipped cream topping. 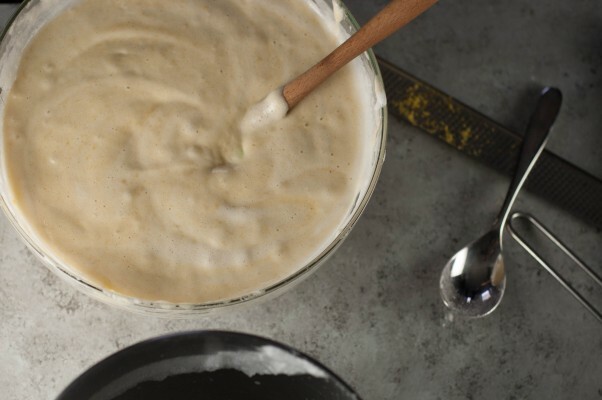 In the bowl of a stand mixer fitted with a whisk attachment, whip the cream on medium-high speed until thickened. Add the sugar and whip until the cream holds soft peaks. Frost the top and sides of the cake with an offset spatula. If desired, top with a few raspberries. Keep refrigerated until ready to serve.